This question occurred to me a little over halfway through Wargroove’s campaign, after I spent 45 minutes holding off an endless assault by flying vampires and skeleton mages. The past few missions, in fact, had been so difficult and forced me to play so defensively that I had pretty much memorised the attack range of every enemy unit in the game. Wargroove, which is now out for PC, Xbox One and Switch, makes a stellar first impression. Its lively sprites pack a powerful nostalgic punch for anyone who’s been vainly hoping for a new Advance Wars for 10 years. But I found that the more I played it, the less I loved it. If those gorgeous, chunky, bouncy sprites do nothing for you, then a) where is your heart and b) a lot of Wargroove’s charm will be lost on you. I delighted in the battle animations of pikemen running to occupy captured buildings, battlepups rushing to rout a group of swordsmen, and squat little knights atop their Harvest Moon-style horses. Each of the factions in Wargroove has a strong visual identity, be they stout armoured humans or plant-people, undead or the vaguely samurai-esque warriors of the Heavensong. All the units are consistent across all the factions, but each of the 12 Commanders has a special ability that moulds how you play. Cesar up there can inspire adjacent units to take another turn, encouraging you toward close-up confrontations with closely grouped ranks of fighters. One of the plant-people commanders can pay some cash to summon any unit next to it, making it great for surprise assaults in an unprotected part of enemy territory. In vanilla matches, you win by capturing buildings to amass money and building up an army to defeat the enemy Commander or capture their stronghold. It’s all about keeping hold of territory to keep your funds topped up, and fielding a carefully varied range of knights, dogs, merpeople, flying vampires and trebuchets to hold off whatever your opponent sends across the battlefield. The story opens with the death of a king and the flight of a princess from her kingdom, but don’t expect RPG levels of depth from this story. 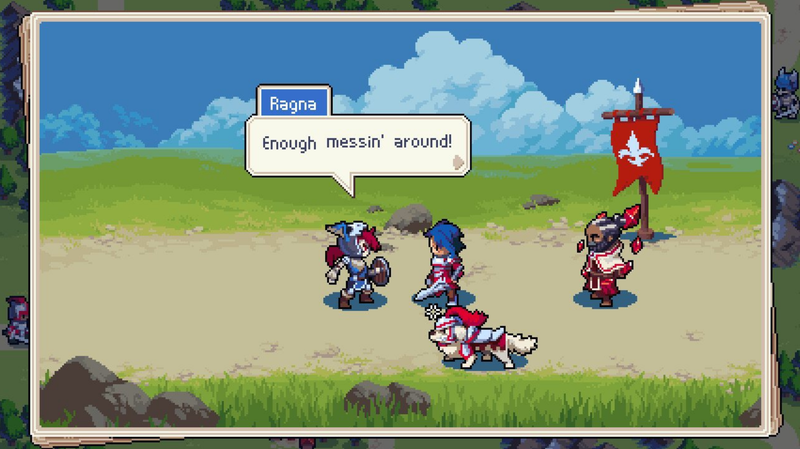 Wargroove is breezy and light-hearted, with gently funny dialogue. The plot isn’t much more than an excuse to face off against and then team up with other cartoonish Commanders. The selection of units gradually expands over the course of a 30-odd-mission campaign, giving you plenty of time to absorb each one’s strategic value before introducing the next. Every unit can deal a critical hit, but only under specific circumstances, meaning you assemble a mental index of odd rules as you go: harpies should attack from mountains, alchemists should hide in trees, pikemen gotta stick together. For the first few hours, this all slips down easily. You learn about barracks and strongholds and battlepups and fog of war; you experiment with your Commanders’ abilities and shift your cute little units over bridges and mountains, arranging them in pleasing phalanxes. But after the halfway point, Wargroove’s campaign becomes less like a series of fun military puzzles and more like endurance tests. The pace of play is quite slow. It’s common for a campaign mission to last 45 minutes to an hour, with a lot of that time spent slowly moving armies toward each other. In too many of them, you’re tasked with surviving wave after wave of attacks from enemies that keep unfairly appearing at the edge of the map. Unless you know what’s coming it’s hard to plan for the sudden appearance of a freakin’ dragon 70% of the way through a mission, and the slow nature of turn-based strategy makes it difficult to react on the fly. Playing defensively is the only way to survive the unforgiving difficulty. Sometimes things would get so grindy that I’d get bored and take a chance on moving some units forward, only to be punished every time with slow, inevitable defeat. And when defeat means 45 minutes of lost time, it is dispiriting, especially when that failure comes as a result of a plot-driven late-mission twist that you were unprepared for. Sometimes I’d conquer a campaign mission on the third or fourth attempt and feel nothing but a kind of dull relief. It certainly didn’t make me want to rush onwards to the next one. Here’s the problem with Wargroove’s core strategy: it’s so scrupulously fair and balanced that it’s inflexible. This turns a lot of matches into protracted, grinding stand-offs, with you and the AI (or another player) accumulating and chipping away at evenly-matched units and mostly staying outside of each other’s range. There’s no element of chance, which removes the opportunity for those wild, brave, last-chance-saloon moments that make, say, Into the Breach so memorable. The Commanders’ special abilities are balanced such that deploying them rarely turns the tide of battle. With everything so evenly balanced, what you’re basically waiting for is for the other player to make a mistake—or to make a mistake yourself. And there comes a point in the campaign where a single mistake can end you. BACK OF THE BOX QUOTE: Wait, are those armoured puppies? PLAYED: Around 15 hours, mostly focused on the campaign, with sorties into the challenge modes and multiplayer. After the campaign started to feel like a slog, Wargroove’s arcade mode was a blessed relief. This puts each commander through a series of five quick battles against different foes, a bit like a fighting-game campaign. The maps are interesting and well-balanced, and in contrast to the story mode, it lets you actually experiment with tactics, rushing the commander or taking a bet on expensive, powerful units or spending all your money on warships to besiege the enemy stronghold. If I hadn’t had to play through the later campaign missions to unlock more commanders for arcade mode, I might well have just abandoned it halfway through when it started to get frustrating. Wargroove is impressively generous with game types, in both single and multiplayer. Puzzle mode is a third single-player option that gives you a seemingly unwinnable situation and challenges you to find a way to win in just one turn. The multiplayer allows for two, three or four-player battles, team battles and co-operative battles, all on an impressively large selection of maps. The servers weren’t live ahead of launch, but I played some local skirmishes with a friend, only one of which devolved into a tedious, grinding stand-off with units lining up at either end of bridges. There’s also a magnificent set of map creation tools that are oddly soothing to use, and let you create or download not just scenarios but campaigns. These are, unsurprisingly, quicker and easier to put together on a PC than on a Switch or a controller. There’s a lot of potential in these generous multiplayer and creation spaces. 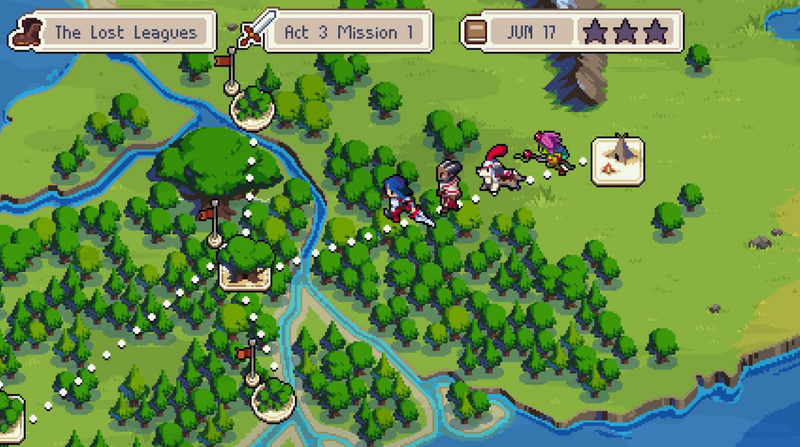 If Wargroove finds an active community—and it seems likely that it will—there will be a supply of interesting maps and willing opponents for months or years to come. Campaign frustrations aside, Wargroove nails the big stuff. It looks great, it’s not too hard to understand, and it’s fun moment-to-moment. Really, it’s the little things that aren’t quite right. There’s no universal visual language for the different types of units across the factions, leaving you trying to decipher which units to avoid with your new merman from tiny icons that make dogs look almost the same as horses. It’s too easy to accidentally end your turn by misplacing the cursor and pressing A twice in a hurry. Moving your cursor over an enemy doesn’t automatically show you its attack and movement range. That’s an extra button press away. 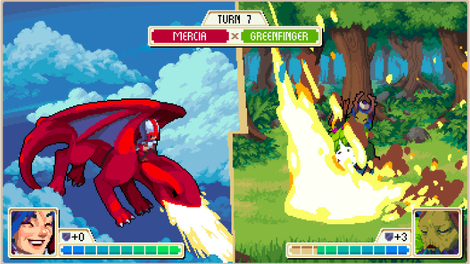 These might look like petty complaints, but over time these small irritations build up, and they compound the bigger weaknesses that are only apparent when you look at Wargroove next to its inspirations: the story isn’t anywhere near as interesting as Fire Emblem’s, the strategy isn’t as elegantly complex and contained as Into the Breach, and the interface and controls are not as perfectly tactile and satisfying as Advance Wars. Wargroove takes some of the best elements of all those games and creates something of its own. It’s not a hollow imitation, but a spirited homage, characterful and generous. Even when I didn’t love it, I still couldn’t help but like it.